Career Closet Clothing Drive | donations accepted March 11-April 26 | Donate gently used professional attire. Navigate is a new tool to help guide students successfully through their Guided Pathway. The new Fitness Center at the Arvada Campus is now open! Visit the Financial Aid Office to find out if you are eligible for work study. A great way to gain experience while in school! Academic travel opportunities that blend accredited academic coursework with co-curricular travel. Chat with one of our staff to help answer any questions you might have. Online Classes provide Red Rocks students with the opportunity to take classes from home. Designed for developmental instructors and faculty who teach “gatekeeper” courses, click on the banner for registration. 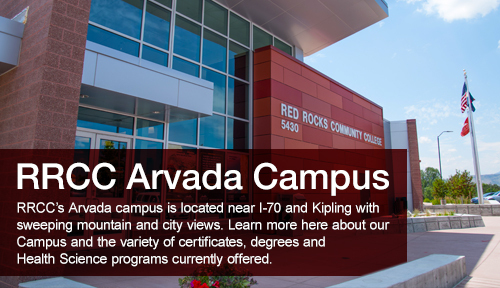 Find out why RRCC has one of the most renowned International/ESL community college programs in Colorado. 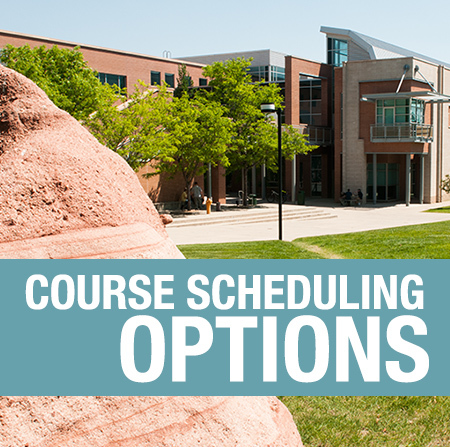 RRCC has classes to fit your busy schedule starting throughout the semester to meet your required or elective course needs: Online, Weekend, Accelerated, Hybrid, Self-paced, and newly designed classes based on student needs. In addition, Late-Start classes are available with start dates throughout the semester to accommodate your specific scheduling requirements. Learn about our wide variety of scheduling options here!